The U.S. credit card market is massive. North America accounts for about 60 percent of the global card market, according to analysis from ResearchAndMarkets.com released earlier this year, while the American Banking Association found in April that about 70 percent of Americans have at least one credit card. For all of the discussion of B2B payments’ emulation of the B2C market, however, supplier payments rarely occur via card. Data from NACHA and the Credit Research Foundation (CRF) found that cards account for just 11 percent of B2B transactions, while accounts receivable professionals expect that figure to grow just 1.5 percent by the end of the decade. B2C merchants cannot afford to not accept card payments, despite the often debated (and sometimes controversial) interchange fees associated with them. B2B vendors, however, are rarely willing to accept that added cost, unsurprisingly due to average B2B transaction sizes, which can be several times larger than those of consumer transaction values. For Net Element, owner of the Netevia platform, entering the vendor payments space means coming face-to-face with this challenge, says Vlad Sadovskiy, Net Element’s president of integrated payments. Netevia provides a set of APIs for online sellers to integrate payment acceptance, both B2C and B2B, into their platforms. Earlier this month, the company announced the added functionality of vendor payments via virtual card, geared toward small- and medium-sized businesses. Virtual cards, Sadovskiy recently told PYMNTS in an interview, provided critical features like security and user-friendly processes. Virtual cards are a segment of the card market that can offer the same user experience as other payment cards used by professionals in their personal lives, he said. But they provide added features, such as security, thanks to their one-time-use nature. 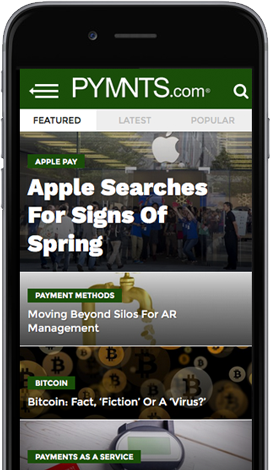 “In the B2B payments space, people are concerned about control,” he said. “At the end of the day, when a lot of people are using different credit cards all at different times to make payments, it’s difficult to control every employee you give the credit card number to. And it requires a lot of man-hours to do so. In today’s climate of heightened cyberattack and data breach fears, commercial cards can be particularly susceptible to targeted attacks, due to their association with credit lines that are often higher than consumer cards. The Association for Financial Professionals (AFP) found in a 2017 report that nearly a quarter of businesses saw their corporate card products – including commercial cards, fleet cards, T&E cards and others – targeted by a fraud attack, either attempted or actualized. Nearly a third of businesses said their commercial cards were targeted by fraudsters in 2016. “Fraud via corporate/commercial credit cards accounted for the third-largest share of fraud,” the AFP wrote, adding that recent peaks in commercial card fraud historically coincide with massive data breaches at large retailers. Those data breaches that began pummeling headlines in 2013 can also be traced back as a root cause for why card adoption has been stifled in the B2B payments market. B2B payment companies putting their faith in cards have turned to virtual cards to address the issue of fraud. But what about the hurdle of vendor acceptance? According to Sadovskiy, there are several reasons why suppliers would want to accept cards. He noted that, in his opinion, card associations “are not doing enough to create different categories of use cases that require a lower fee structure” when it comes to addressing the pain point of interchange fees. Card rails are, at least, cheaper than wires, which often charge both the sender and receiver in order for the payment to go through. But the biggest push on Net Element and Netevia’s part to encourage suppliers to accept virtual cards is to act on both ends of the transaction, Sadovskiy added. Netevia’s presence in the vendor payments market means the company can be present both in the sending and receiving of B2B payments for a single client. This capability, he said, provides a holistic experience for companies that are both B2B customers and sellers, enhancing security and reducing added costs. Word of mouth, continued Sadovskiy, can be a powerful tool in increasing vendor vCard acceptance, and cards’ presence in the B2B payments space overall.